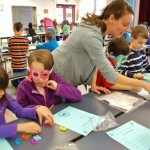 Hambright Elementary School first-graders had hundreds of reasons to celebrate Tuesday. 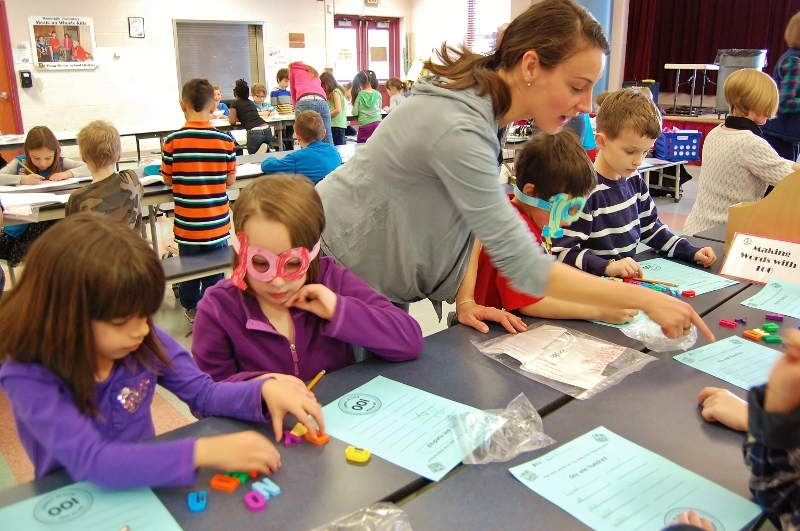 The youngsters broke with their normal routine – although this winter has hardly been “routine” – and celebrated the completion of 100 days of school by engaging in a variety of fun activities, all with “100” as a theme. 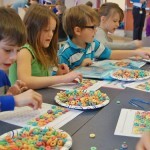 Students rotated from station to station in the cafeteria, where they solved 100 addition and subtraction problems, made necklaces out of 100 Froot Loops, formed words from the phrase “one hundred days,” read books with such titles as “100 Days of School from the Black Lagoon,” and wrote stories about 100 things. 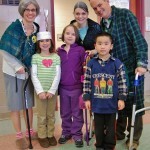 Teachers Megan Szentesy, Amy Bittenbender and Jeff Heiney got in the spirit by dressing as if they were 100 years old. Parents volunteered at the stations, helping to make the event a success. Szentesy said the celebration is an opportunity for students to collaborate with their friends from other classes while practicing some of the skills they’ve learned this year. 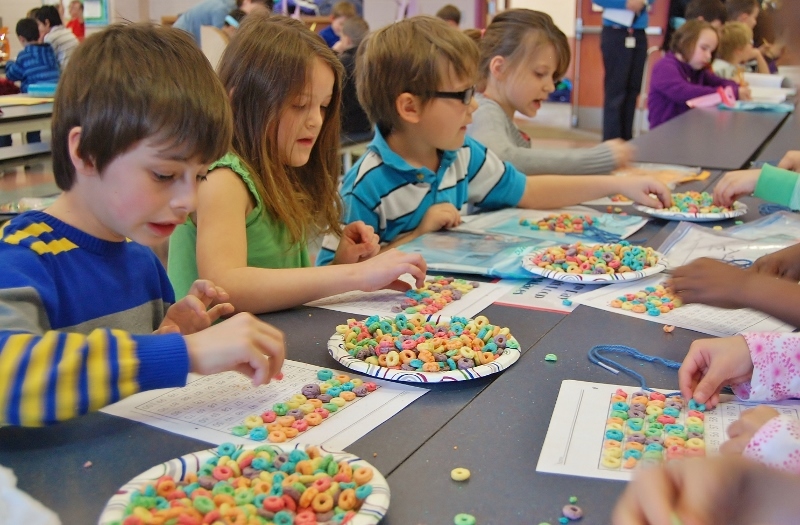 Hambright first-graders count out 100 cereal pieces for their necklaces. 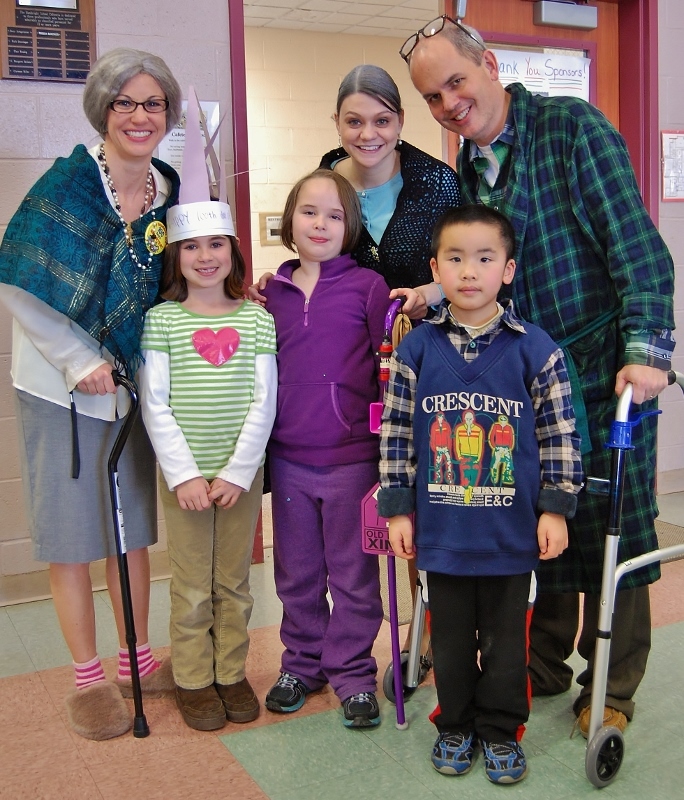 Teachers, from left, Megan Szentesy, Amy Bittenbender and Jeff Heiney, centenarians for a day, pose with students.